Chicago has produced bands like The Smashing Pumpkins and Wilco, hip-hop acts like Common and Chance the Rapper, its own unique flavor of blues, and is credited by many as the birthplace of house music. With that kind of résumé, it’s no surprise that Chicago is one of the greatest places in the US to catch a concert. Here are the best venues for live music in Chicago. The Green Mill jazz club was the first jazz club in the US, and it has been serving up outstanding live music and booze for well over 100 years, running straight through the Prohibition era as an illegal speakeasy. Tunnels that were once used to smuggle alcohol in and let gangsters escape during police raids run through the basement. 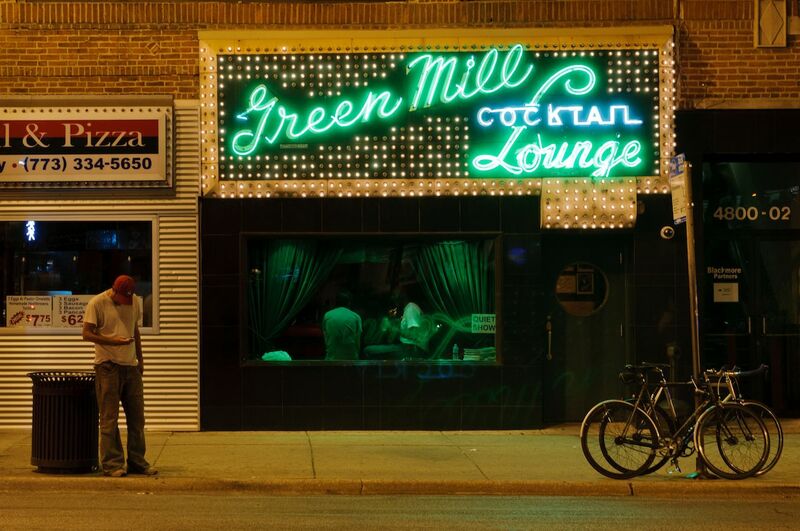 The Green Mill books top local and national jazz acts, and you’re guaranteed mind-blowing music here any night of the week. Note that there are afternoon sessions, which are a little less crowded. The venue is cash only, so go prepared — it’s not often you get to drink in the bar that Al Capone once frequented. 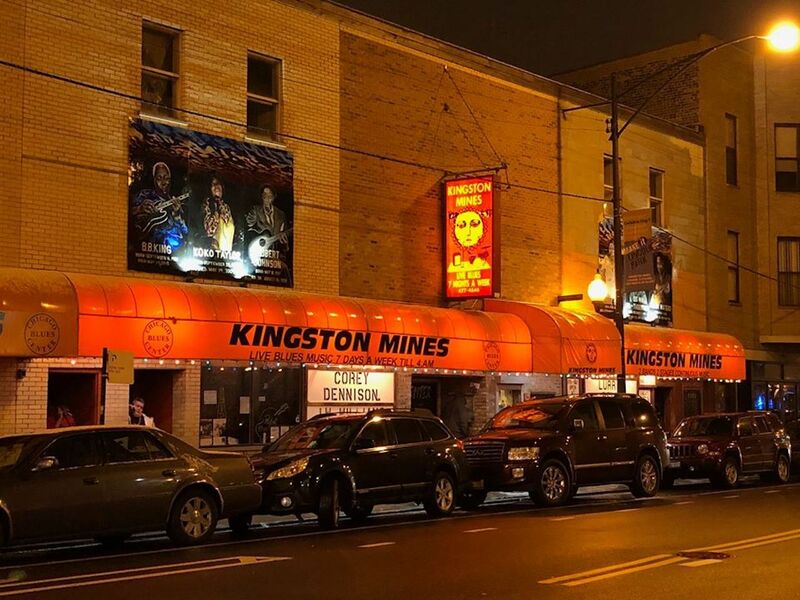 Kingston Mines is the best place to experience the true essence of the Chicago music scene. The legendary venue, which opened in 1968, books local and national blues acts, occasionally bringing in some true royalty of the genre. Its two stages are open seven days a week, and it also serves excellent Cajun and soul food. 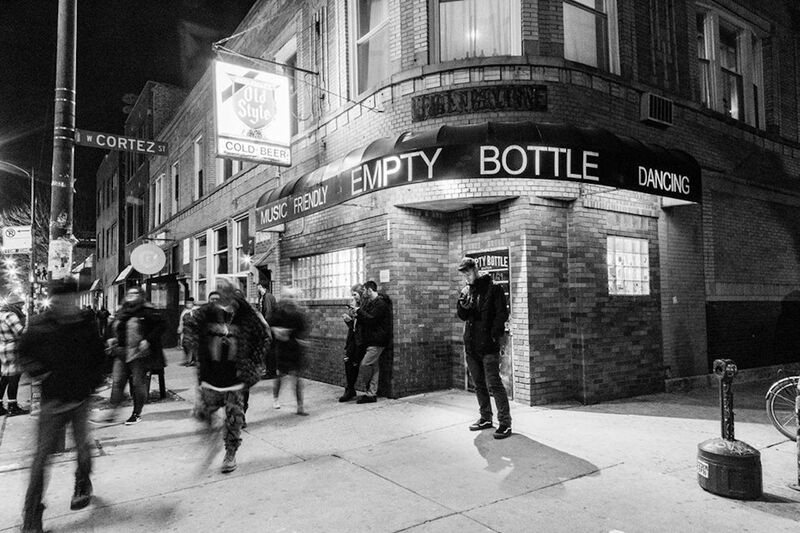 Since the early 1990s, The Empty Bottle has been putting on great shows in a super cool dive bar setting. The Old Style beer sign outside and slightly drab interior lets you know you’re in a true Chicago bar. The Empty Bottle books everything from experimental jazz to hip-hop, but its bread and butter is rock, from acoustic to indie to punk. US acts mainly play here, but occasionally international superstar bands stop by. Recently, Alt-J played an unforgettable Lollapalooza after-party set. 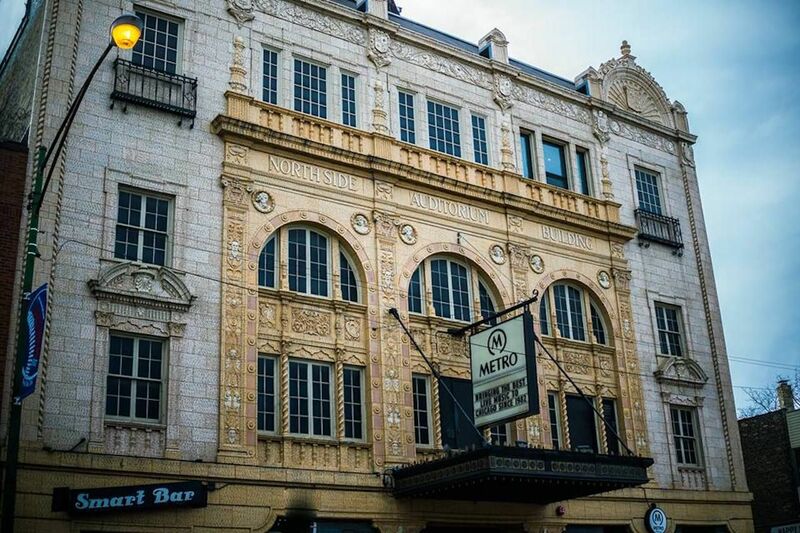 Metro is a legendary Chicago venue that holds 1,100 people between its main floor and its balcony. It books local and national acts, occasionally attracting superstar bands for shows that sell out in minutes. In the basement below the main floor, Smartbar books great DJs seven days a week. With a closing time of 4:00 AM, and 5:00 AM on Saturdays, Smartbar is the perfect place for after parties or any night you feel like putting on your dancing shoes. Lincoln Hall and Schubas Tavern are sister venues. Schubas is a legendary venue that mainly books acoustic and singer-songwriter acts. It’s housed in an old bar with a Schlitz Beer logo built into the facade from the pre-Prohibition days. 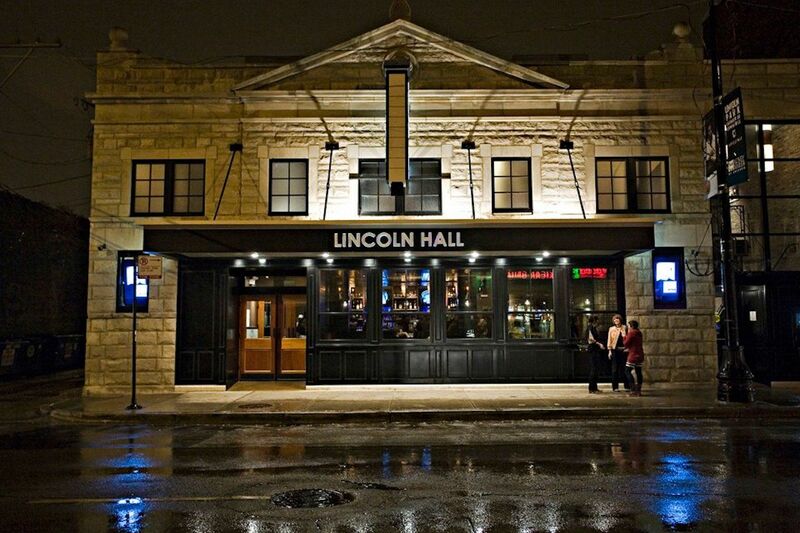 The owners of Schubas opened Lincoln Hall in 2009, and it quickly became one of the most desirable venues to play in the city. With great sightlines from the floor and balcony, and high-end audio gear and acoustics, big acts play here when they want to do an intimate gig. It’s also one of the best places to see indie bands that are well on their way to blowing up. The Riviera Theatre was built in Chicago’s Uptown neighborhood in 1917. Since the mid-1980s, The Riv has been putting on kickass concerts from large and small acts in what might be the perfect setting. The elaborate French Renaissance decor provides a very cool visual contrast when you’re listening to your favorite modern bands, with a maximum of just 1,400 other people. 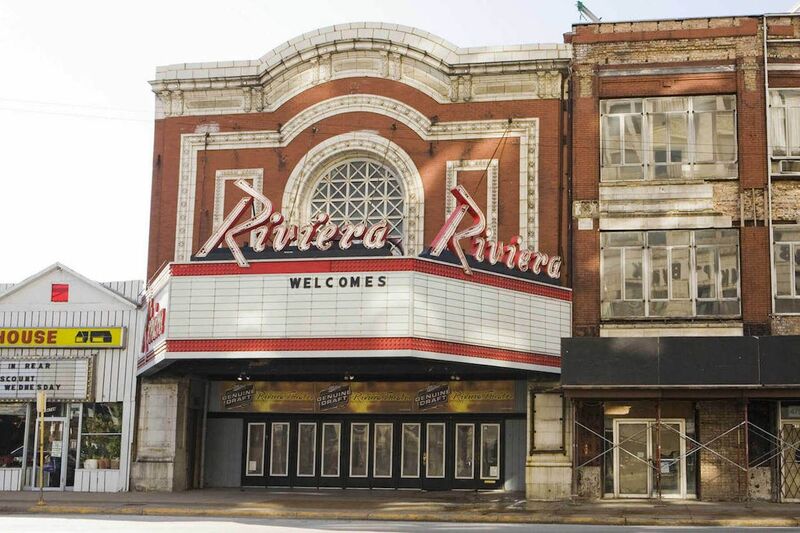 The Riviera sometimes plays second fiddle to the Aragon Ballroom, another jazz-age theater and dancehall just around the corner. The Aragon is larger and generally books bigger acts but has a much less intimate feel than The Riv — and less-than-stellar acoustics. Built in the 1920s, the ballroom of the Aragon is extravagant, to say the least, resembling the architecture of a Moorish castle. With the intention of making the patrons feel like they’re dancing under a Mediterranean sky, the ceiling is dotted with palm trees and fairy lights. Both venues put on a great show and are worth visiting to admire their impressive decors. 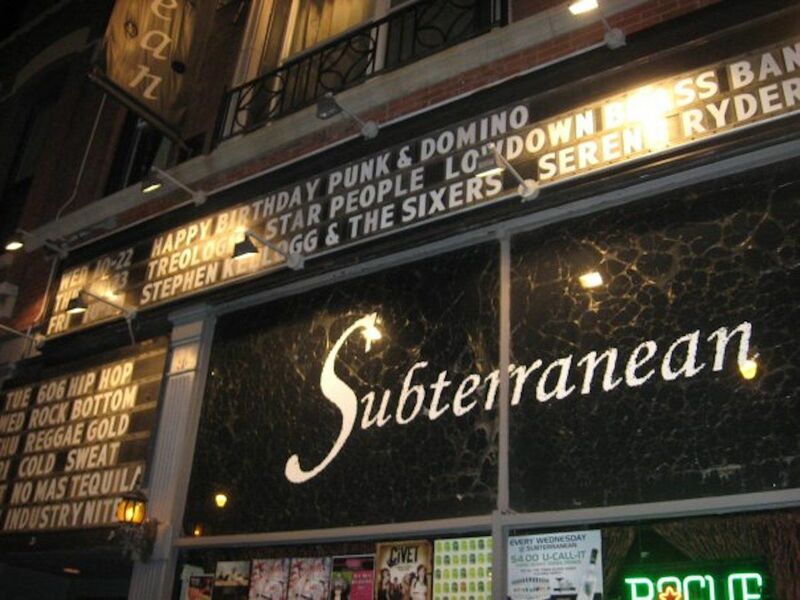 Subterranean, known affectionately to regulars as “Sub-T,” is Chicago’s best venue for underground hip-hop, but it also books a lot of indie rock acts. The upstairs area holds around 400 people, and the venue puts on smaller shows for up to 100 downstairs. Go on a Thursday for Reggae Gold, a wild night that always draws a packed house. The downstairs also regularly hosts the city’s best open-mic, hip-hop nights.